In his house at R'lyeh, dead Cthulhu waits dreaming. And yet, I shall carry him wherever I go. 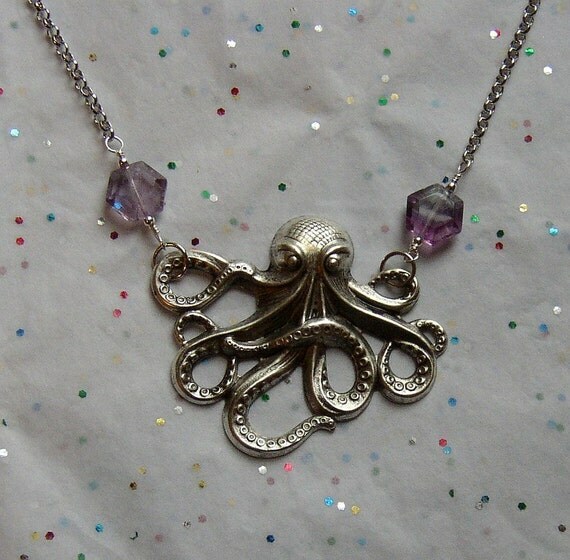 Psynde makes some awesome urban fantasy-inspired jewelry, and she's got 10% off today if you enter coupon code TURKEY. Go, thou, and shop. Psynde has some awesome stuff.